The Main Guard was a "Tholsel" which is an office where tolls, duties & customs were collected. 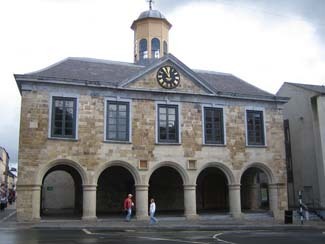 It was Clonmel's Assize Court from 1716 until 1810 when it was converted into a barracks, hence the name. Later it fell into a sad state of dereliction but it has now been restored by the Office of Public Works, and is open to the public.